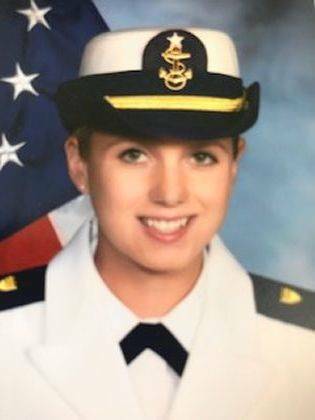 Makenzy Karnehm will graduate from the U.S. Coast Guard Academy in New London, Connecticut, on May 23 and will be commissioned as an Ensign in the U.S. Coast Guard. She successfully completed four years of intensive academic, physical and professional training, resulting in a Bachelor of Science Degree with a major in Marine and Environmental Science. Following graduation, she will proceed to Seattle, Washington, where she will begin service aboard the U.S. Coast Guard Cutter Midgett as a Deck Watch Officer/Student Engineer. A 2011 graduate of Urbana High School, she is the daughter of Kevin and Kelly Karnehm of Urbana and the granddaughter of Jerry and Sherry Cantrill and Lowell and Patricia Karnehm of Piqua.